The edge between superhero and villain has never been sharper. 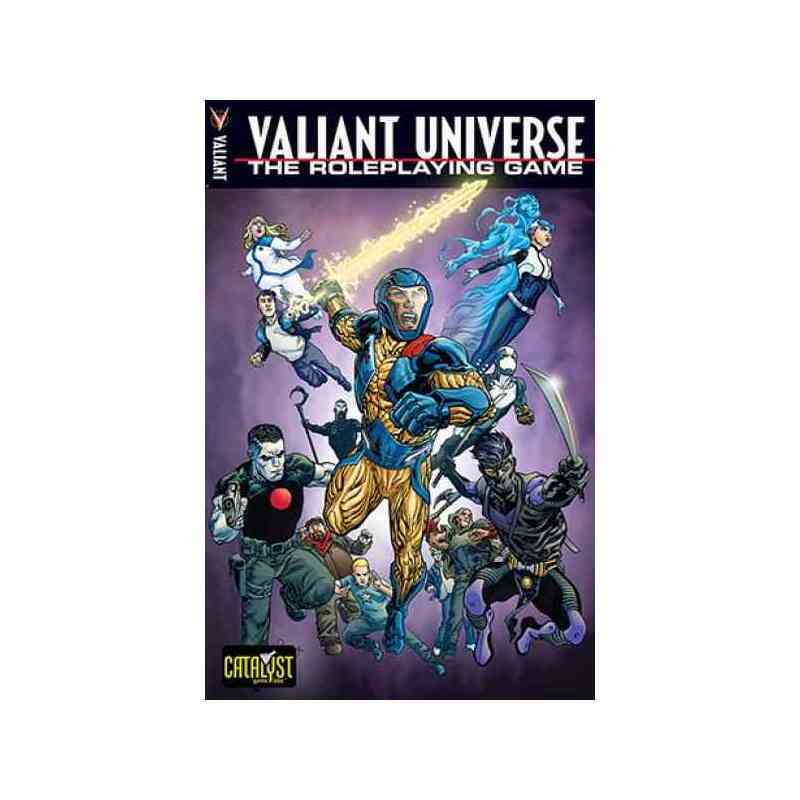 In the Valiant Universe RPG, players will immerse themselves in a dark and gritty world where every mission and every battle has deadly conse­quences. Whether playing X-O Manowar, Bloodshot, Shadowman or even the all-powerful Toyo Harada?or any of dozens of characters? 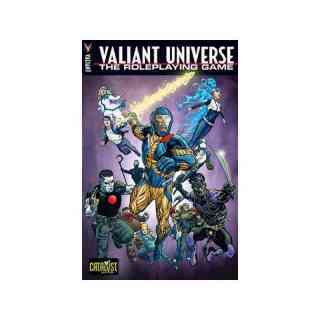 Valiant?s most fearless heroes will unite for the first time in a roleplaying game, allowing you to join their stories and create new ones! Whether you?re a longtime fan or brand new to the Valiant Universe, this is the only source you?ll need to bring Valiant?s leading characters to life in a fantastic superheroes setting!